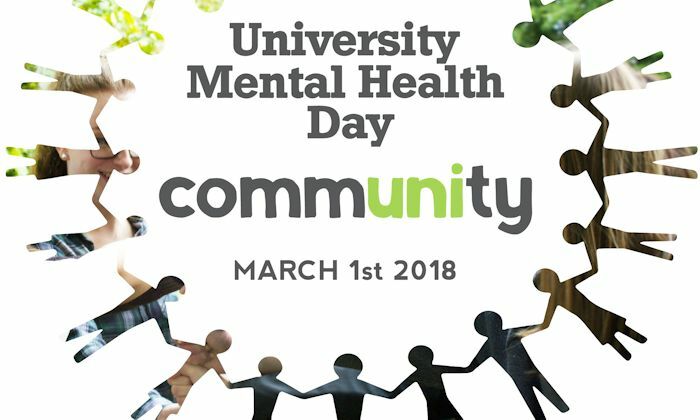 Today, Tuesday May 1st, is University Mental Health Day across Australia and New Zealand. University Mental Health Day aims to raise awareness of the mental health and well-being needs of those who study and work in higher education settings. A key part of being human is feeling connected to others and your community. Evidence suggests that spending time with your community, friends and family as well as pets can really support your mental health and wellbeing. For University Mental Health Day, we encourage you to take a moment to identify and acknowledge your community contacts, friends and family. Perhaps, plan to catch up with someone over coffee, sport or taking a walk together. At UON Callaghan campus today we have an expo with a focus on getting involved with your community. Come along and find out more, or join our Online Forum on Building Digital Student Communities at 5pm 1st May on Blackboard Collaborate. Events at NeWSpace and Ourimbah are planned too. See here for details. Most of all, stay connected for your mental health.